Clearing a large backlog of released realistic add-ons over the last two years. I'll start with the cancelled moon missions based on the Apollo AMSO add-on for Orbiter. Flowing the general outline of the available NASA planning documents I did Apollo 18, 19 and 20, complete with terrain, patches and EVAs. This add-on features realistic terrain for the Vallis Schröteri area near the Aristarchus crater on the Moon. It is presented in a way that you have a relatively large flat area (Orbiter limitation) where you can land and drive. The area covered by terrain mesh is about 30x30km. Some surface features were placed to provide interesting destinations for EVAs, based on the actual geology of the region. 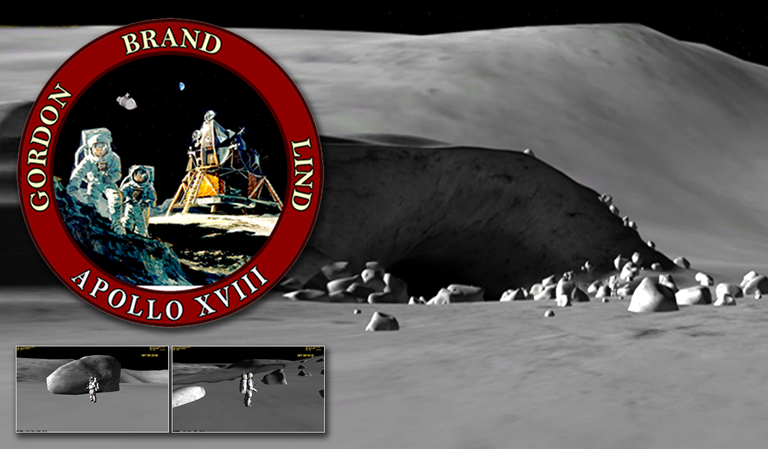 The provided scenarios use AMSO to recreate the proposed Apollo 18 mission. They are generic and the orbital trajectories are not optimized regarding fuel or mission duration. Anyhow, I think I've remained within realistic parameters for a late Apollo mission. Let’s say after Apollo 17 all the hardware as updated and can perform a little bit better. To give that impression, I'm including a CMS repaint with the white Skylab paint scheme. There’s also a small update to LC39 ground texture that now resembles the actual ground cover in the 1960/70s. I've added some normal maps for the Saturn V rocket and the LEM 's gold foil, for the benefit of those using modern graphic clients. 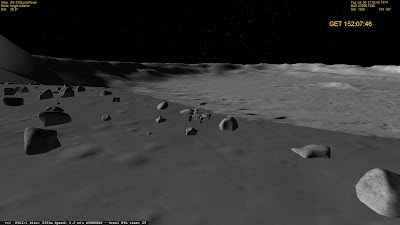 This add-on features realistic terrain for the Copernicus crater on the Moon. It is presented in a way that you have a relatively large flat area (Orbiter limitation) where you can land and drive. The area covered by terrain mesh is the entire crater, with extra detail around the central peaks. Some surface features were placed to provide interesting destinations for EVAs, based on the actual geology of the region. Similar to Apollo 18 and 19, I present a flat landing area near the Surveyor 7 landing site, that you can explore using AMSO. An alternate landing site close to Tycho's crater rim is also included. Scenarios for the default DG (not dependent on AMSO) are also included.